Are you a food producer? Show your products to international buyers! 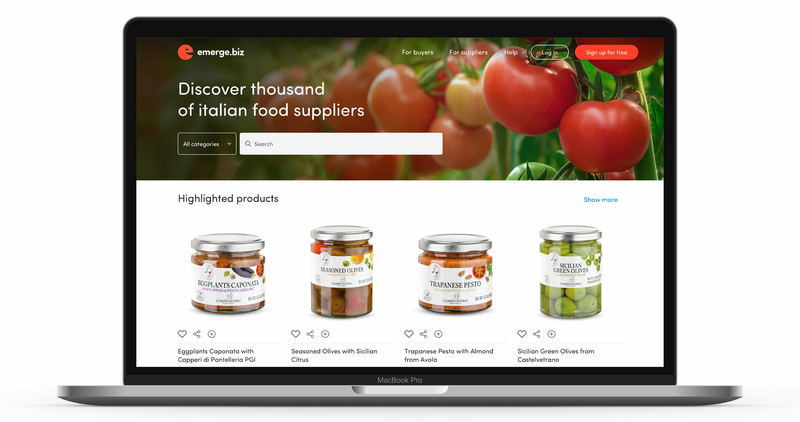 Welcome to Emerge, the first Italian online food platform. The only place that puts buyers and producers in contact with one another through a virtual marketplace. 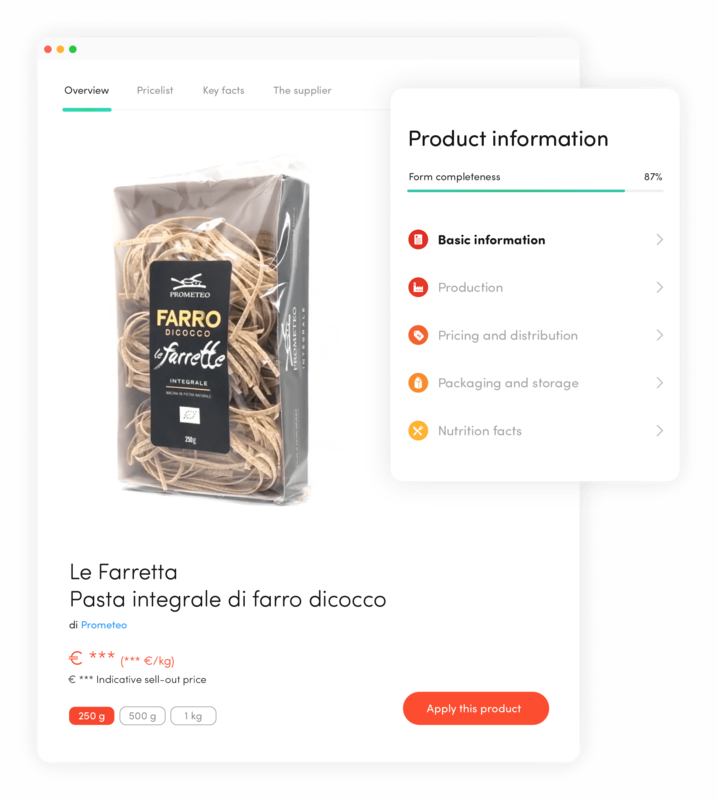 It has infinite possibilities, thanks to innovative tools that make food commerce easy, intuitive and ever more future-oriented. 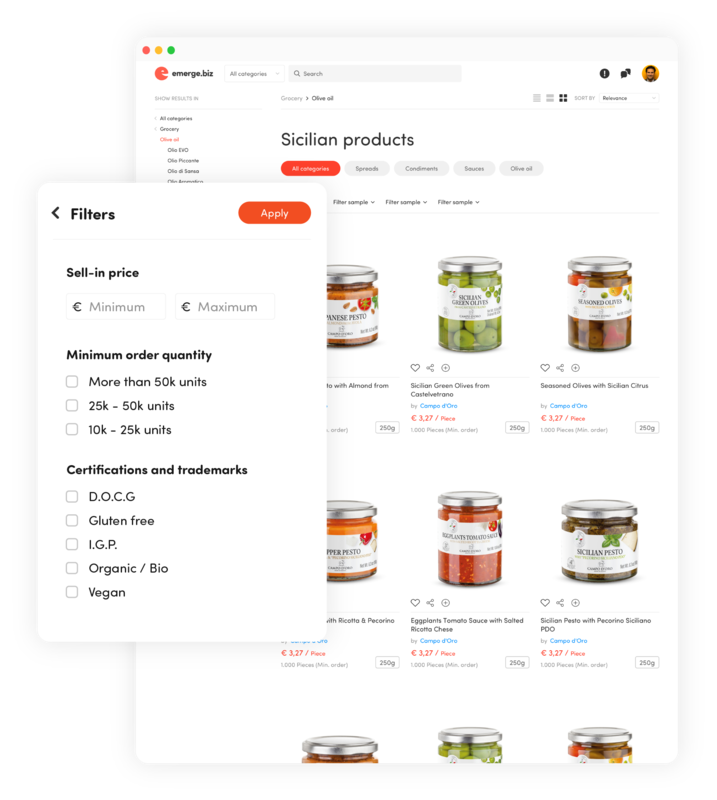 Each producer can easily upload its products to Emerge by inserting key details: technical specifications, nutritional values, and product origin. This makes it easier for buyers to discover and evaluate potential opportunities. Buyers look for quality and Emerge is here to give it to them. Thanks to Emerge’s search filters, users can obtain immediate results. 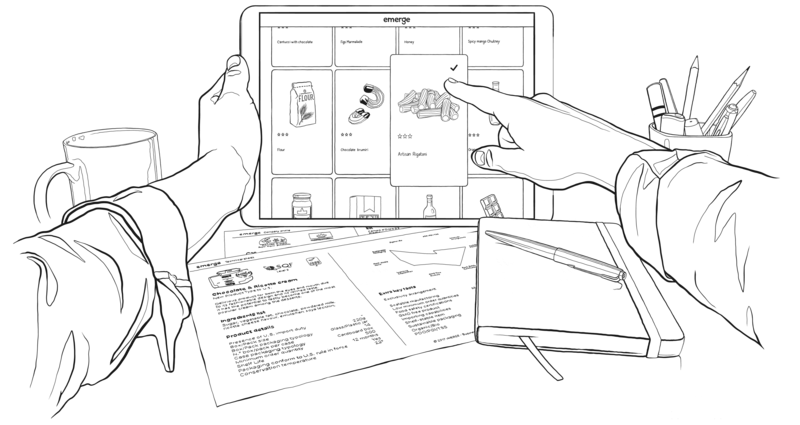 And what’s more, they have the tools they need to create collections and compare products. Suppliers know when their products have been viewed and can receive precious feedback from customers. 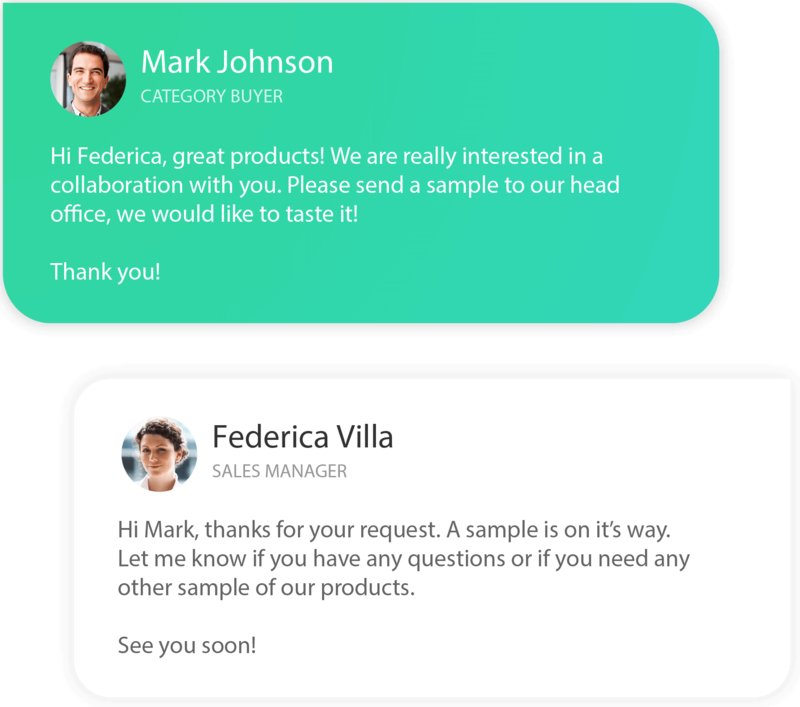 And if buyers want to know more, they can instantly contact the producers that interest them. Copyright © 2017 iiMERGE s.r.l. All rights reserved. By clicking Sign up for free, you agree to our Terms and that you have read our Data Policy, including our Cookie Use. You may receive SMS Notifications from emerge and can opt out at any time. You will be led through the registration process. to confirm your profile. Thank you! Complete your profile and upload your first product. Attract the attention of the best retailers worldwide!